Migraine Headache Symptoms: How Long Can A Migraine Last? Why do migraine headache symptoms last so long? Or are they sinus symptoms? Both are good questions, ones that I hear often, and the reason I started this page out that way. So many times a patient will come to me with that question, wondering why do headaches last 2 days, 3 weeks, or even months without letting up? Generally, migraine headache symptoms last 4-72 hours, and many times a simple dose of an anti-inflammatory and a good nights sleep will stop a headache. But if you are one of the chronic sufferers, then you know that a migraine can last..well.....forever. Migraines are often labeled with different terms such as common migraine, classic migraine, vascular headache, stress headache, tension headache, aura, migraineur, status migrainosus, Raeder syndrome, histamine cephalalgia, histamine headache, sphenopalatine neuralgia, eye pain headache, severe headache, Horton's neuralgia, and estrogen-withdrawal headache. This is due to the "central sensitization" in the brain. In other words, the nerves in your brain are overly sensitive. Other symptoms of migraine can occur. You may even feel confused. Your friends and family will say that you look confused and might be slurring your speech. You may also feel like your hands and feet are cold and can feel like they are tingling. A stuffy nose leads many to believe that they have a sinus headache. Not true! The same nerve that causes blood vessels to dilate and pound and throb also ends near nasal tissue...hello stuffy nose! 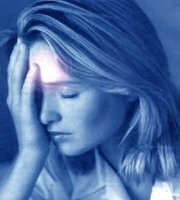 Some migraines may have an aura. There are many headache questionnaires available but one of the most widely accepted in the medical community is the MIDAS questionnaire. Take the MIDAS questionnaire for migraine. Depression is strongly linked to migraine. If your headache has gone beyond three days, and you cannot break the pain with your normal migraine headache treatments, you are now in status migrainosus. Unfortunately, at this point oral triptans, such as Imitrex may or may not work. Recent studies have indicated, however, that an injectable such as Sumavel Dose Pro, may work even if the headache has gone on for days. Migraine headache treatment involves utilizing many venues. If you believe that a pill will cure migraines, then you may have difficulty with your headaches and they will not improve. Migraines improve from a combination of lifestyle changes, and alternative therapies. Many people do get relief from headache medications but they have to be combined with lifestyle changes. I can tell you from many years of professional experience, that those people who do not want to make changes in regards to their headaches, have very little chance of getting better. You might also get better much faster in regards to your migraine headache symptoms, if you consider seeing a headache specialist. Learn how to explain to those around you about your migraine headache symptoms. More information about what causes headache.